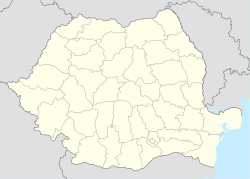 Tortoman is a commune in Constanța County, Romania. The commune's name is of Turkish origin. At the 2011 census, Tortoman had 1,616 Romanians (99.88%), 2 others (0.12%). ^ a b "Constanța County at the 2011 census" (PDF) (in Romanian). INSSE. February 2, 2012. Archived from the original (PDF) on March 24, 2012. Retrieved March 8, 2012. This Constanța County location article is a stub. You can help Wikipedia by expanding it. This page was last edited on 10 January 2018, at 06:08 (UTC).